Two evicted Big Brother Naija 2018 housemates to be voted back into the house. Big Brother allows you to Vote to bring back two Housemates. In a twist like no other this season, Big Brother has decided to put the power in your hands. 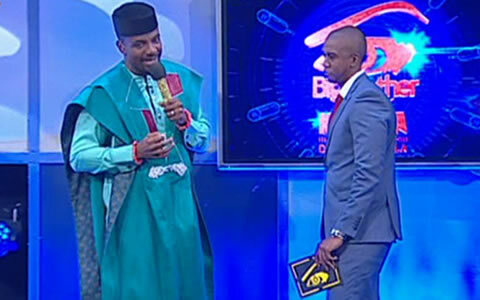 At the end of the Sunday Eviction show, Ebuka announced that this week the public will be voting to bring back two of their favourite Housemates. Yes, that’s right, this week you will have the opportunity to Vote to bring two Housemates back into the Big Brother game this season. The eligible Housemates are Anto, Leo, IfuEnnada, Ahneeka, Angel, Princess, Bitto, Vandora, Dee-One, Khloe and K.Brule. The two Housemates that make it back into the House next week will be returning as individuals, and not as their original pairs. This means you will be Voting for an individual Housemate, and not a pair. The returning Housemates will remain in the House until they are Voted out according to the normal proceedings of the season. They will take part in all House activities, Nominations and Tasks as well. This twist has been seen on international Big Brother seasons like the U.S and Canada, but this is a first for the African continent! Make sure you have registered to Vote this week, as it’s going to be a big one. Voting will open immediately after the Nomination show on Monday evening. Don't know how this will work, evicted HMs know how we feel about HMs in the house, they might capitalize on their flaws, I think they should have let the come but not run for the money. and they know what we did not like about them, they will correct that as well. but BB's house and BBs rules.